This train runs daily including weekends. (it’s final destination is Valencia). It costs about 15 euros and cannot be booked in advance. If you are coming from another place in Spain you will need to look up connections to Tortosa. The Spanish train website is Renfe and there is an option to change the language to English. As you come out of the main entrance of Tortosa train station turn left and immediately take the next left on to the pedestrian walkway. At the end of the walkway turn left. Take the second right – Carrer de Santa Maria Rose Molas. You’ll see the bus station ahead of you on the left hand side (a building with curved roofing). There is a cafe inside the building as well as the ticket office. It will take about 5 minutes to walk that distance. The Spanish bus website is Hife but there is no need to book ahead. Buy a ticket for Valderrobres at the kiosk (about 6 euros) and take the bus to Valderrobres. This usually leaves from Stand 5, but check with the information office, it may not say Valderrobres on the front. Departs Tortosa at 13.15 arrives Valderrobres approx 14.20. In Valderrobres you’ll be met by the Akashavana community at 14.20 for a 4×4 trip into the mountains. You have the option of walking the last 8km (5 miles) up to the retreat centre from Peñarroya de Tastavins – we will take your luggage if you choose this option. It is a hilly two hour walk, and we will provide directions and a map. Note for the retreat team or anyone arriving for events other than the start of a retreat: there are two later buses on weekdays, leaving Tortosa at 16.00 and 19.00 On Saturdays and Sundays there is a more limited bus service. Tickets can now be booked up to four months in advance with Renfe, six months with Eurostar. Please note that the local trains Barcelona – Tarragona – Tortosa cannot be booked in advance. What follows is for longer distance travel within Spain. Renfe is the web site for Spanish railways. It translates into English and some other languages. The fast Ave, Euromed and Talgo type trains are reservation only and quite expensive. These are the ones that go to Alicante, Madrid etc. There are also slow trains that don’t need booking but they stop at many stations. Note: Tortosa is not among the list of mainline stations offered initially but IS among the list of ‘all other destinations’ which can be accessed by clicking somewhere on the page. 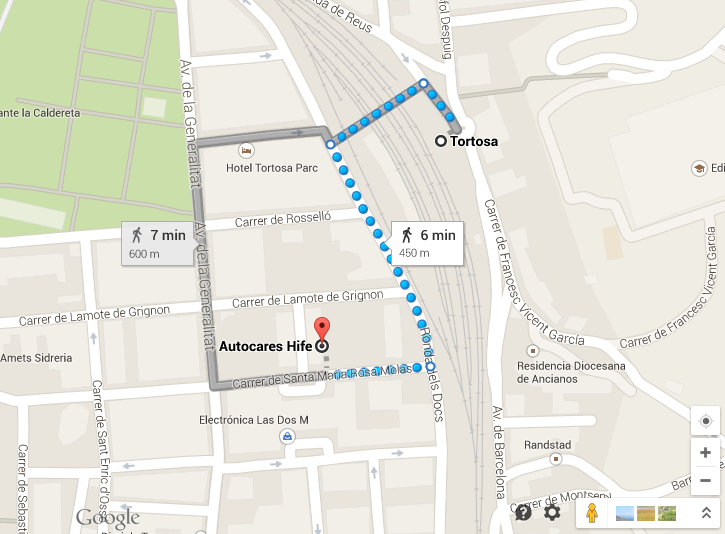 You will then get all times and prices from wherever to Tortosa. Fares and days of travel vary, so check them out on eurolines, the main company for coach travel wherever you are in Europe, or, if in the UK, by phone: 08705 143219 (it can be easier to book by telephone). Open return tickets are available, it will only take a phone call or quick session on the internet by a friend to confirm your return date and send you a printed ticket (an sms ticket on your mobile phone may also be possible). Nagarakshita has written notes of her journey by sea so let us know if you’d like details. Akashavana is in a mountainous region inland between Barcelona and Valencia. The most convenient airports we have found are Barcelona International, Reus and Valencia (the airport called Barcelona Girona is to the north of Barcelona and is not at all close) Valencia is less hectic than Barcelona – helpful especially after a retreat – and there is a Triratna Buddhist Centre and a sangha there too. Barcelona international airport – Trains to Barcelona Sants Station run every half hour from the airport. Journey time is about 20 minutes. From Sants you will need to get the train to Tortosa which will probably leave from a different platform (Via) – there are information kiosks in Sants station, often with someone who speaks English. Trains from Barcelona Sants leave for Tortosa about every hour and a half, (N.B. the final destination is not always Tortosa). Trains to Tarragona are more frequent. Beware – Barcelona is a hot spot for pick-pockets and several retreatants have had things stolen (at Sants station in particular) . Please take extreme care and keep your valuables safe. A common ploy is to distract travellers by offering to help with bags. There is also a coach service between Barcelona airport (Terminal 1) and Tarragona bus station. To check bus times go to empresaplana (the bus fare is higher than the train). Recently Hife started to run a regular bus service between Barcelona airport (Terminal 1) directly to Tortosa bus station (it involves some swapping from bus to bus just outside of Barcelona and Tortosa (but the bus driver will tell you) It is quite straightforward and a comfortable way to get to Tortosa. Check the Hife website for times. Note: If you arrive at terminal 2 you have to take the airport shuttle to terminal 1 which takes about 10 minutes. Reus airport is near Tarragona and Salou which are both on the train line from Barcelona to Tortosa. Ryanair fly to Reus airport and their webpage has info on bus transfers. Some retreatants have not found these buses to be reliable. A shared taxi might be a good idea. Valencia airport – there is a metro from the airport to the city centre which takes about 25 minutes. Some trains from Valencia are direct trains to Tortosa, but for most you will need to get off at L’Aldea-Amposta-Tortosa station and then a train to Tortosa. There is also a regular bus service to Tortosa from L’Aldea. Check the Hife website for times. Boarding Passes:- In case you can’t print your boarding pass for your return flight before you travel to Akashavana, the support community can do that for you. Please provide them with all the information needed, ideally at the beginning of the retreat. WE STRONGLY RECOMMEND THAT YOU DO NOT ATTEMPT TO GET A FLIGHT OUT ON THE DAY THE RETREAT ENDS. BUS/TRAIN TIMINGS ARE SO TIGHT IT WOULD TAKE ONLY ONE SMALL DELAY TO MISS A FLIGHT. If you travel back by train from Barcelona you may be able to leave on the evening that the retreat ends. On the day that your retreat ends you will be taken to Valderrobres in time to get the bus leaving at 14:25 that arrives in Tortosa at about 15.45. The next train leaves from Tortosa to Tarragona and Barcelona at 17.08 and arrives Tarragona at 18:23 and at Barcelona Sants at 19.40. Trains go from Tortosa to L’Aldea-Amposta-Tortosa, where you usually change for a train to Valencia, although a few trains go directly through to Valencia. If you are flying out from Valencia, you may need to stay in Valencia overnight. Spain is famous for Fiestas and other big events so it is possible that a town may be totally booked up. Advance booking is strongly recommended. There are a number of places to stay in Valderrobres, there is the Fonda la Plaza, and Albergue-Hostel Valderrobres in the beautiful old town, or Fonda Angeleta and Hostal Querol. All rooms are between €35 and 55€. There are currently three buses leaving Valderrobres on weekday mornings, but fewer at weekends. Picasso’s favourite village right on the border between Catalunya and Aragon is on the bus route from Valderrobres to Tortosa. ‘La Fabrica’ is a self catering apartment right in the village square owned by Oscar – you can find it on trip advisor. There are also several other accommodation options of varying degrees of luxury. The self catering will allow you to expand on the very limited vegan and vegetarian food choices – tortilla, bread, salad and cheese basically – as the local shops sell plenty of seasonal fruit and veg. From Horta there are beautiful walks, downhill bike rides with swimming options along the way, and even an opportunity to go kayaking on the nearby Ebre river. The local Picasso Centre is also well worth a visit, but check opening times, it is mainly only open at weekends. Barcelona is much more expensive than other places. An easy and cheap place to stay is Hostal Noria in the Plaza de la Font tel no 0034 977 238 717. However it can be noisy as it is centrally located. NB this is a different place than HOTEL Nuria – which is more expensive, near the beach and more quiet. You should book in advance which is easy to do through a site like booking.com. 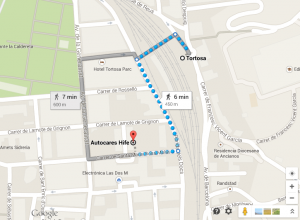 You can get a taxi from the train station, or walk taking an outdoor escalator up the hill. Indigo Hostel has been recommended as very clean. It is about 18 euros in a taxi from the airport and a walk from the train station. It provides breakfast, they speak English on the phone, but have no single rooms. Please note that the support community usually won’t do new bookings for you but can confirm your reservation if necessary. Please provide them with all the information needed, ideally at the beginning of the retreat. The links below give basic information about who needs a visa for entering Spain and the length of time that your visa will enable you to remain in Spain. Please check on any visa requirements in good time before the retreat.